In front of a standing-room-only crowd in the Singh Center’s Glandt Forum this week, four teams made their pitches for how to turn technology developed by Penn Engineers into the next big thing. Each year, the Mack Institute, Penn Engineering, Penn Wharton Entrepreneurship, and the Penn Center for Innovation come together for the invention competition known as the Y-Prize. Unlike the XPRIZE, where competitors come up with novel technologies to solve a particular problem, the Y-Prize starts with the technologies and challenges entrants to find commercial applications they are particularly suited for. At stake: $10,000 to help get the winning idea out of the lab and into the market. This year’s Grand Prize winner was VisiPlate, which seeks to use nanoscale plates as part of a treatment for open angle glaucoma, a leading cause of blindness. They edged out fellow finalists Greenhouse and Smart Car Window, which planned to use tunable windows in agriculture and automotive applications, and NanoSink, which proposed using the nanoscale plates as a space-efficient way of dissipating heat from electronic devices. 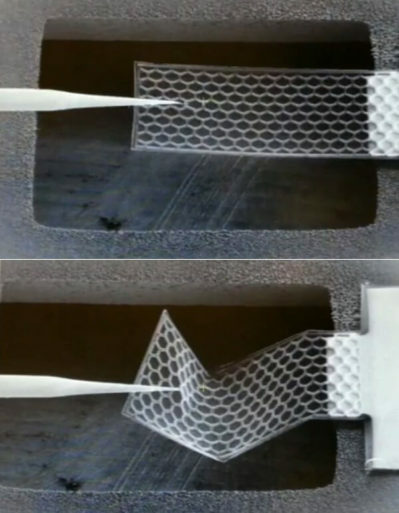 Corrugations in the nanoscale plates allow them to bend and twist without tearing. The plates, developed in the lab of Igor Bargatin, Class of 1965 Term Assistant Professor of Mechanical Engineering and Applied Mechanics, are the thinnest that can be picked up and manipulated by hand. Despite being hundreds of times thinner than household cling wrap or aluminum foil, the corrugated plates of aluminum oxide can spring back to their original shape after being bent and twisted. 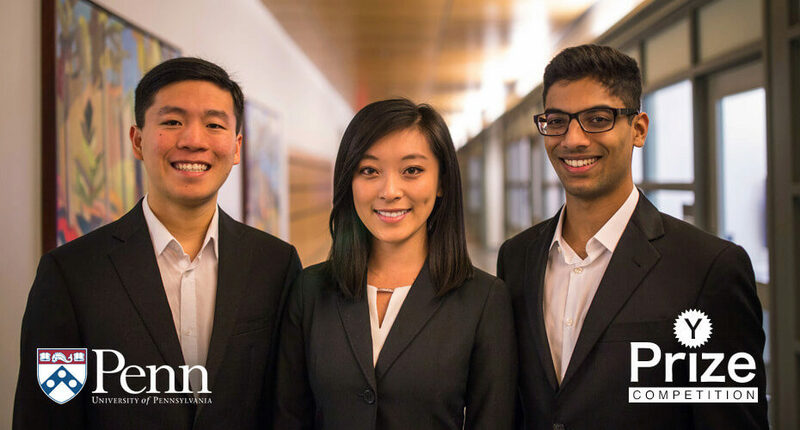 This unique combination of strength and thinness made them intriguing to juniors Brandon Kao of Engineering and Rui Jing Jiang and Adarsh Battu of Wharton. With assistance from Richard Stone and Eydie Miller, ophthalmologists at the Perelman School of Medicine, they envisioned a new way of fighting blindness. “Some of us personally know people who suffer from this disease, and we are motivated to help them and others by using this nanotechnology in a life-changing product,” Battu said. In open angle glaucoma, aqueous fluid in the eye builds up, putting damaging pressure on the optic nerve. 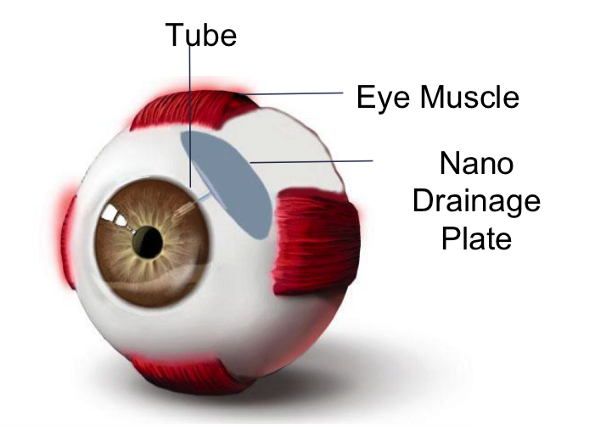 Non-invasive treatments, such as eyedrops, have low levels of compliance, and surgical interventions, such as shunts that drain the fluid into the muscles surrounding the eye, have high rates of failure. Because the Bargatin lab’s plates are so thin, they can be implanted just under the surface in the front of the eye. Diffusing the shunted fluid over a wide area, they would allow that fluid to be reabsorbed at a manageable rate. VisiPlate’s concept involves bringing the drainage plate to the front of the eye, making for a less invasive surgery and less risk to patients. “Winning Y-Prize was a fantastic validation of our idea to help prevent blindness in open angle glaucoma patients,” said Kao. With a funding boost and vote of confidence from the Y-Prize judges, VisiPlate is ready to move on pre-clinical testing and prototyping. “The Y-Prize grant will be extremely helpful for our immediate next steps, and we are grateful for the generosity and support of the Mack Institute, Professor Bargatin and his team, our advisors Dr. Stone and Dr. Miller, and our friends and family,” said Jiang. This post originally appeared on the Penn Engineering blog. 1 Pings/Trackbacks for "2017 Y-Prize Winner VisiPlate Offers Innovative Glaucoma Solution"